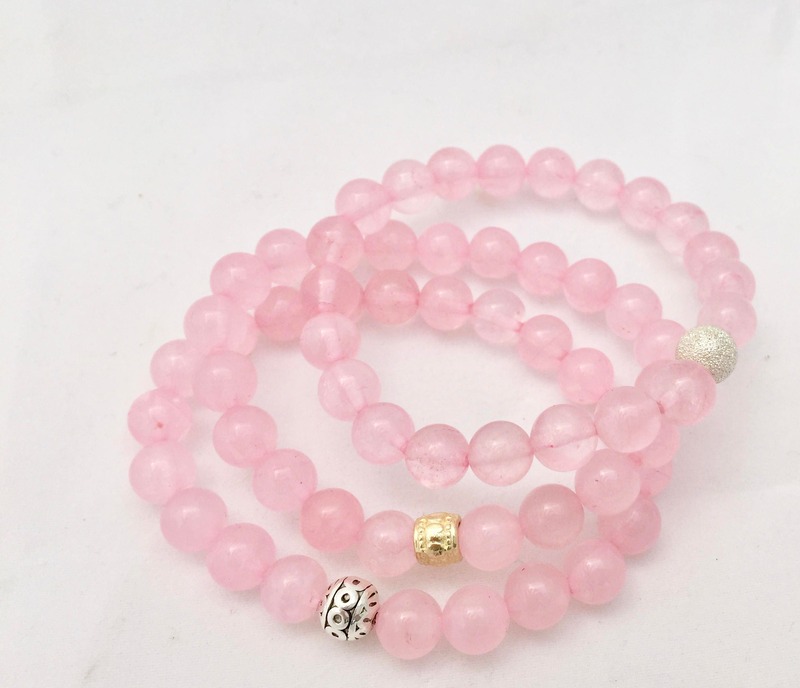 8mm Smooth Rose Quartz Bracelet- Perfect for a young girl any age. 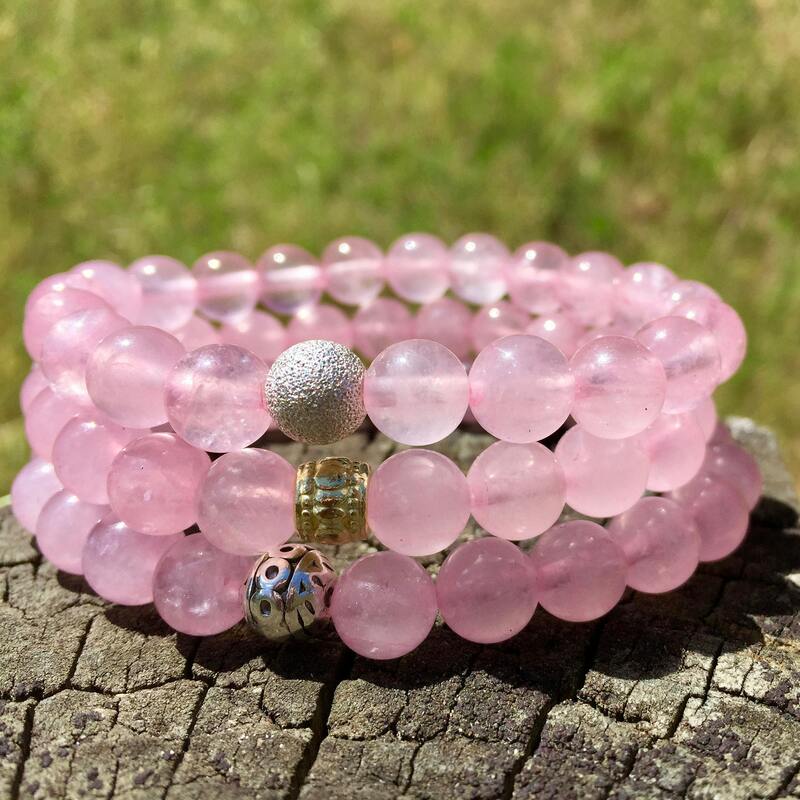 Rose Quartz is and an amazing stone. It is a gemstone of the heart. It carries a soft feminine energy of compassion and peace. It has a high vibration that brings inner warmth. Wear it in good health and much love! You can never go wrong with it. Rose Quartz goes so beautiful with everything. Including your own pieces, especially silver, I love paring it with silver bracelets. 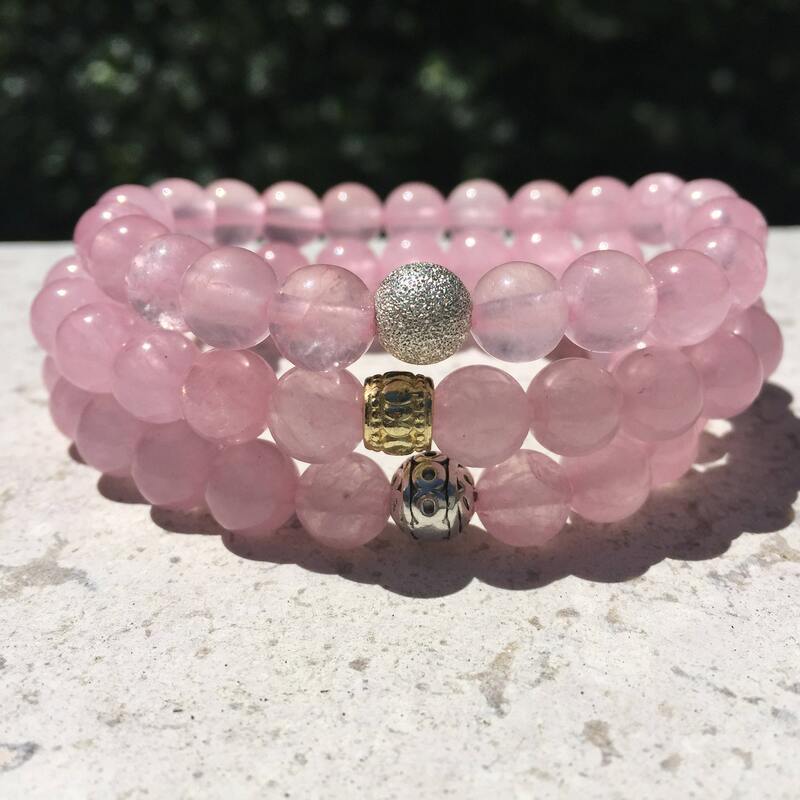 The Rose Quartz stone is an 8mm smooth gemstone. Please Choice the accent bead you are called out to from the drop down menu. Also choose you wrist size form the drop down menu. Typically, the 7" size works for most people. A few size options available on the drop down menu. Custom orders are always welcome. You want them to be about 1/4' looser than your wrist, so that the bracelet is comfortable and moves.